Getting in a few miles before the sun sets over Breckenridge. 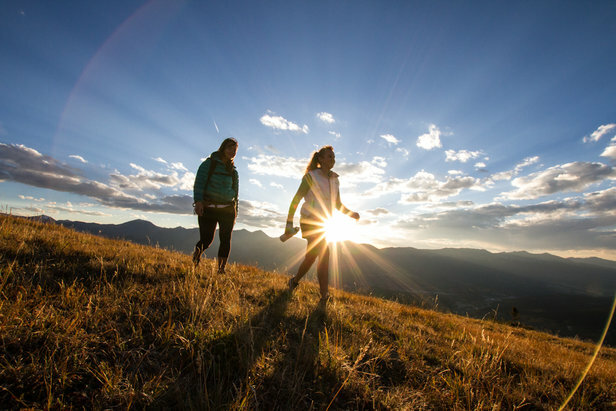 Summer in the high country is the perfect time to flex those ski muscles and hit the trail. 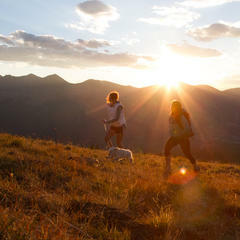 Breckenridge, like many ski towns across North America, offers phenomenal summer recreation on its network of hiking and mountain bike trails. Located at the base of the Tenmile Range, this former mining town offers a charming downtown area to complement its all-season adventure. 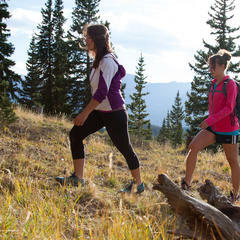 Lace up your boots and pump up those tires—it's time to hike and bike Breck. 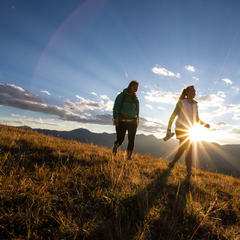 Whether you’re interested in wildflowers or waterfalls, high alpine lakes or 14,000-foot peaks, Breckenridge has a trail that will take you there. Explore Breckenridge’s interconnected trail system right from town or take a quick drive to one of the numerous trailheads located a bit further off the beaten path. 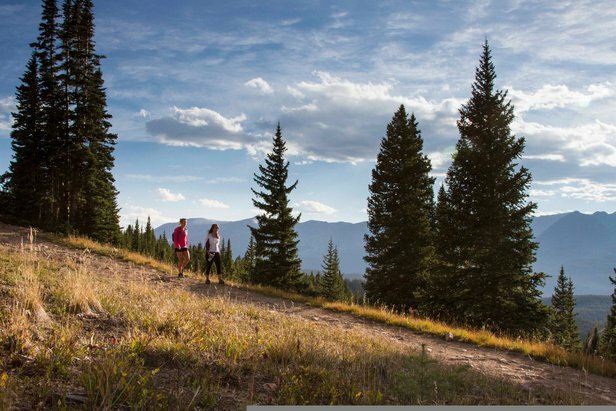 Breck's interconnected trail system lets you get away from it all. If you’re short on time or simply don’t have transportation from town, you can always find a trail within a few steps of downtown. 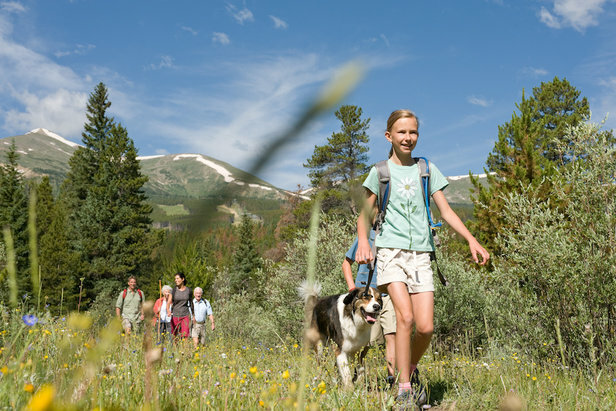 Carter Park is a popular option that provides access to Breck’s network of trails and offers panoramic views of the Tenmile Range from the top. If you’re looking for something the entire family can enjoy, give Sawmill Trail a try. This 1.5-mile hike follows a stream, has little elevation gain and is located at the bottom of the Snowflake Lift. If you’re looking to explore beyond Breck, you’ll find endless opportunities as you head out of town. Beyond Breck, you’ll find an array of opportunities within a short drive. For an easier hike, try Indiana Creek. This hike follows an old stage route through two ghost towns and is 3.3 miles each way. Looking for more of a challenge? Give Mohawk Lake a try. This 5.2-mile round-trip hike not only offers spectacular views but historic mine ruins as well. For the ultimate day hike, head to Quandry Peak, one of Colorado’s 53 14ers. This climb will challenge you with 3,305 feet of elevation gain on its 6-mile round-trip trail. There’s a lot of dirt on Breckenridge these days, and if you’re a mountain biker, that’s excellent news. 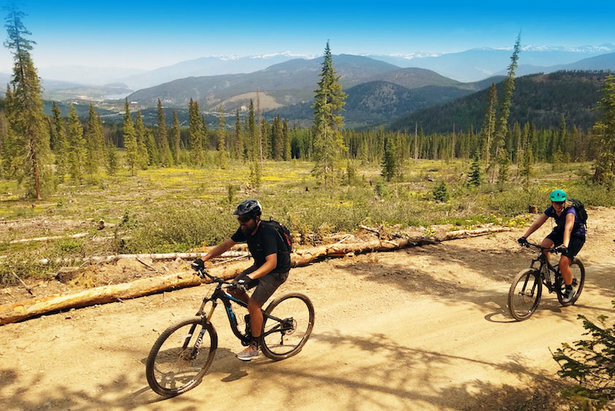 Knobby tire enthusiasts have access to more than 50 miles of trail in their own backyard, and that's before even getting to the burgeoning system of lift-served mountain bike trails found at Breckenridge Resort. Breckenridge’s variable trail system can be accessed from downtown and caters to all skill levels. This expansive network of trails hosts the Breck Epic (one of the biggest mountain bike races in North America) and connects to the Colorado Trail, a 500-mile stretch that winds from Denver to Durango. Breckenridge’s variable trail system can be accessed from downtown, caters to all skill levels and is maintained by both The Town of Breckenridge and Friends of Breckenridge Trails. Plan accordingly and visit during Breck Bike Week, which takes place near the end of June. This week-long celebration of all things bicycle includes events, guided mountain bike tours, races, clinics, demos and expos. 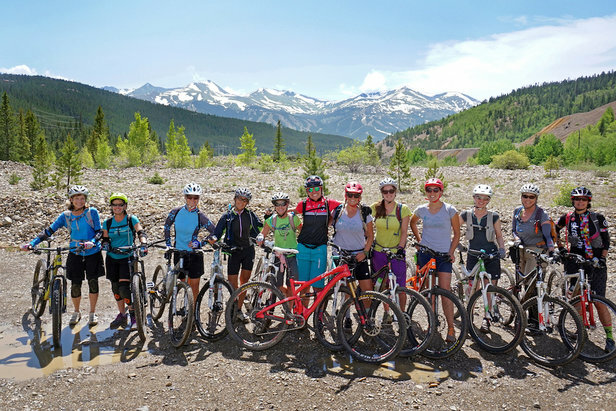 A group of happy mountain bikers at Breck Bike Week. Not interested in earning your turns? Head to Breckenridge Resort and explore their 12 lift-served trails, accessible at the base of Peak 8 via the Colorado SuperChair. These rides vary in difficulty and offer a challenging experience for any skill level. Purchase an Unlimited Day Pass for $34 and ride the lift as many times as you like. 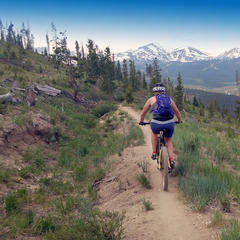 Breckenridge Resort also offers mountain bike lessons, guided lessons and bike rentals. 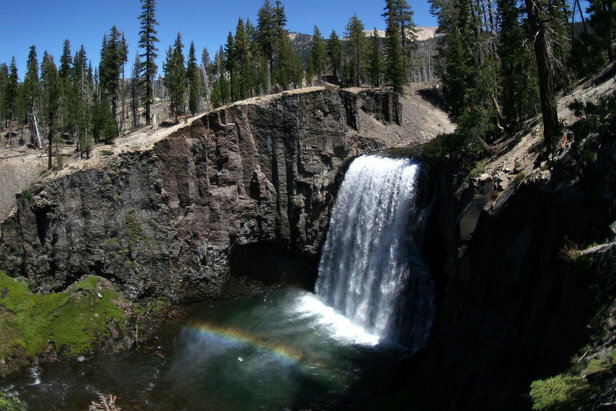 From easy out-and-backs to strenuous full-day excursions, these ski country waterfall hikes offer a cool relief from the summer heat.